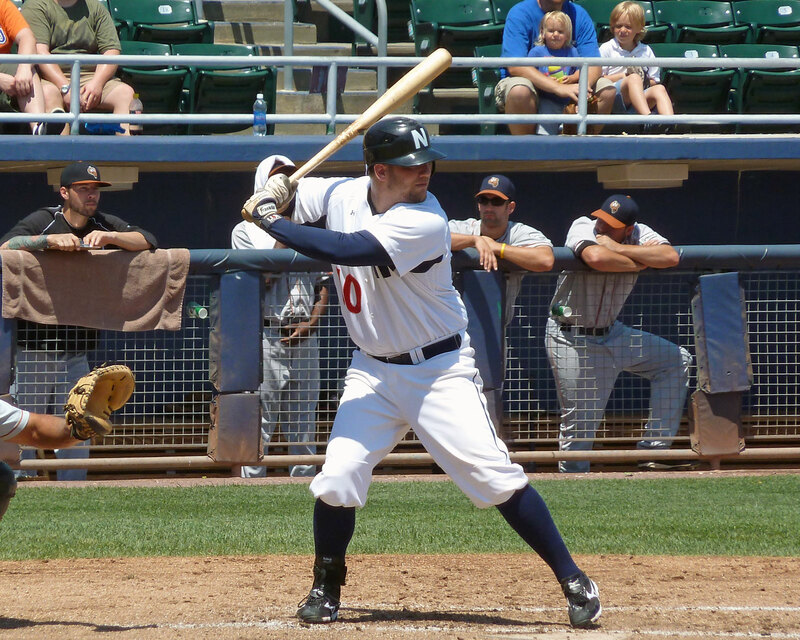 This week, former Newark Bears infielder Paddy Matera was picked up by the Cleveland Indians organization and assigned to the Class-A Carolina Mudcats. The 25-year-old Toms River native began his professional career with the Newark Bears in 2010 and until this week, he had never played on an affiliated minor league team. For the past two seasons, he has been a Camden Rivershark. I know I had a few readers who were fans of Paddy Matera, and I’d like to join them in wishing him luck. I hope he can take advantage of this opportunity. Next Post How much would you pay for a Matt Harvey autograph? Best of luck to him. Hope he doesn’t get shocked by actually seeing fans in the seats. Best of luck Paddy Matera you so deserve this shot. You were my sons favorite Newark player. You were always a gentleman and fan friendly. He’s doing well – .317 with three doubles, a home run and four RBI in 12 games. How’s Paddy Matera doing in the Carolina League and do you think he might have a chance of moving up?